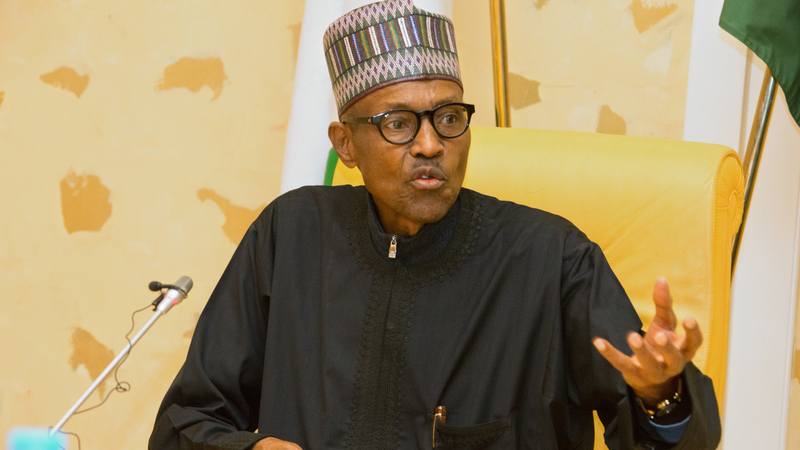 Northern Christians and Muslim clerics yesterday led a procession to the Presidential Villa to declare their support for the President Muhammadu Buhari’s administration in its war against terrorism in the country. The groups under the aegis of the Northern Inter Faith and Religious Organisations also urged religious institutions to intensify prayers for the success of the troop fighting the Boko Haram terrorists in the Northeast. The group, led by Bishop Edward Chanami, also said that the worst days of terrorism were over in the country and called on Nigerians, irrespective of their religion to be part of the prayer session.He said the country was on an edge but through God’s intervention, the country would overcome its challenges. “It is God’s doing that Nigeria has not ended up the way those with evil intentions for us had planned it. “This country was practically placed on knife edge and without prejudice to pending national issues, we dare say the worst is over and we have every reason to be thankful to God. “When President Buhari was away on medical leave, members of the group prayed and fasted and God answered all our prayers. “Our prayer points included healing for the president, the recovery of the economy, success of the troops fighting Boko Haram terrorists and the progress of the country, among others,” he said. The group said the Nigerian troops whom they also prayed for have recorded achievements like never before in the history of their campaign against Boko Haram terrorists and other threats to the nation. “We commend the Chief of Army Staff, Lt Gen. Tukur Buratai and his service chiefs for their decisive leadership. We acknowledge and commend every officer in Operation Lafiya Dole. They are the soldiers of God who have been anointed for greater exploits, the group added. Meanwhile, the Senior Special Assistant, Media and Publicity to the President, Garba Shehu, who received the clerics at the Presidential villa, said they receive communiqué and resolutions from groups, calling for restructuring and constitution review on daily basis. He added that currently, Nigeria needs peace for the people to go about their businesses and not restructuring.Shehu also said that the country also needed economic revival to put food on the tables of the citizens and not restructuring or constitution review. “Everyday we read one communiqué or resolution from one group or the other asking government to review the constitution and restructure the country. “First of all, we need peace in Nigeria, without peace there will not be development or progress, ordinary Nigerians want peace so that they can go about their lawful activities. “Ordinary Nigerians want food to eat, it is not constitutional review and restructuring that will put food on the table. It is better economy and this is what the president is doing, trying to ensure that the resources in the country are very well managed. “The time when a few people in the past have been taking everything and pocketed our resources and shared among themselves is over. Now, the president will make sure that whatever is available to the people of this country, goes around the country and is evenly distributed,” he stated.